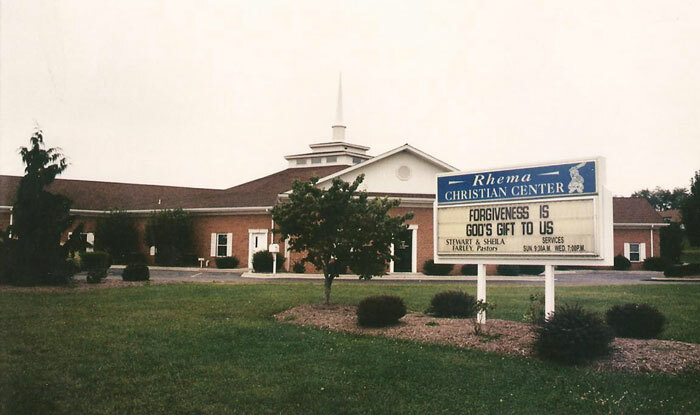 Two weekends ago, I had the distinct privilege of speaking here in Lewisburg at Rhema Christian Center. This is a church whose pastor I have been friends with since I was six. Actually, I believe he baptized me at that age as well. 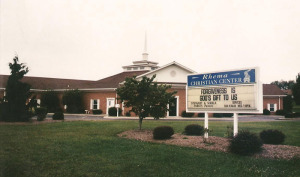 I also went to Rhema’s “church school” from kindergarten through second grade before my family moved to Charlotte, NC. But that is a completely different story. This church has roots in the Church of God denomination, yet it has not identified with that denomination since the eighties. Today it considers itself to be an interdenominational church. After my presentation, the pastor, a couple others, and I went out to lunch together. As we talked, it became apparent that we should spend more time together, especially since we live in the same town. Neither of us knows what the future may hold or where any of this may lead, but what we do know is that we simply want to be following Jesus and putting on a display of God’s love, wherever that may lead us. I’m excited to be entering into a friendship with the folks at Rhema. I can’t thank Rhema enough for taking the risk of having someone from “outside” come and share. I see good things happening there, I love the trajectory I see Rhema on, and I love to see churches that aren’t afraid of change but that only want to follow Jesus, wherever that may lead. The pastor and I are going to be endeavoring to spend some time together periodically. The first subject we’ve chosen, and which we are both keenly interested in, is what this “Kingdom” thing is that Jesus was so passionate about. For those of you who were praying for this presentation, again, thank you. I wish you could have been there to see how well received I was by this congregation. We are still receiving positive feedback here locally as a result. Again, you can listen to the presentation at the above link. Remember, together we are enlarging Christ’s Kingdom, putting on display a God who looks like Jesus, and impacting lives both for today and for eternity, one heart at a time. For partnering with us here at RHM and in the proclamation of Christ’s gospel, thank you.